The FREAK timepiece defies all conventional watchmaking as we know it to be. By all technical means, this SPECTACULAR timepiece does not have a dial, no hands,or a winding crown. Yet it is a Tourbillon Carousel with a 7 day power reserve. 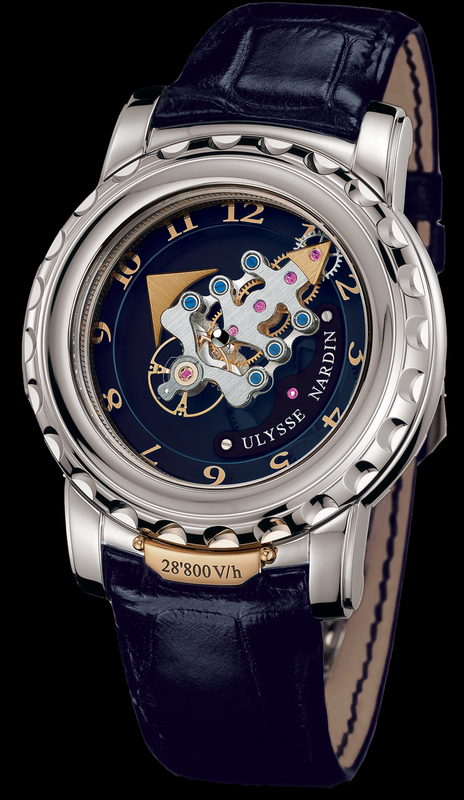 It is a housed in 44.5mm, white gold case. The sapphire exhibition case back reveals the impressive 7 day power reserve main spring. Shown on a blue crocodile leather strap with an 18K white gold folding buckle.